Ever since I boldly predicted that The Beatles would fade away by the end of 1965—overshadowed by The Dave Clark Five—I’ve learned to be wary of making predictions. But predictions are part of the business when it comes to buying property abroad (or writing about buying property abroad). After all, any time we’re buying a property—for anything other than strictly personal use—we’re making a prediction that its value will improve… or that it will produce an income… or that the country it’s in will continue to provide us with favorable conditions. Here are three well-thought-out predictions that I’ve analyzed for 2016. I’ll also follow them with a couple of work-in-progress ideas that you may find interesting. I’ll underline any predictions so you can spot them easily. I already have a home here, but conditions now are better than ever. Medellín enjoys beautiful year-round weather with an average daily high temperature of 84° F (29° C) with only one degree of seasonal variation. So no matter when you choose to visit, you can count on the weather being nice. Also, Medellín has sufficient rainfall to keep everything lush and green and to turn the drought concerns of western North America into a distant memory. Medellín is my first choice for full-time, city living. The upscale neighborhood of El Poblado is walkable, safe, and attractive, with lush parks and lots of trees. The city is clean and bright, and has more restaurants, cafés, and nightlife than you could experience in a lifetime. 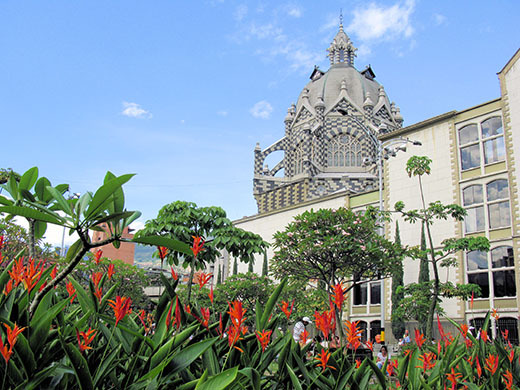 What’s more, when living in Medellín, you can enjoy all of the conveniences that you have back home. There are two big reasons why Medellín is a great place to invest for 2016: the lingering Medellín Cartel stereotype and the strength of the U.S. Dollar. The stereotype is a holdover from the late 80s and early 90s when the Medellín Cartel and Pablo Escobar ruled in Medellín. Pablo died 22 years ago in December 1993… but most Americans have long memories and little knowledge of world events, so his reality lives on in many peoples’ minds. This false reality has kept prices low in Medellín and throughout much of Colombia. But meanwhile, people under 50—for whom Pablo Escobar is a historical figure like Al Capone or Bonnie and Clyde—are coming to live and work in Medellín. Also, savvy retirees who know the real situation are buying in record numbers. What’s more, mainstream media (like New York Times Travel) are now recommending Medellín to their readers. I believe the dissolving stereotype and increased mainstream attention will continue to push prices up in Medellín in 2016. The second factor is the U.S. dollar. It’s been on a tear since mid-2014 and now has about 79% more buying power than it did at that time. A condo valued at US$150,000 in 2014 is now selling for just US$84,000… a US$66,000 discount. I think the dollar will continue to rise against the peso, assuming that the Fed raises interest rates later this month. With a single rate hike, the dollar should rise for a period of three to six months, and then level off. I’d invest in Medellín earlier in 2016 rather than later, since the impact of both factors (the dying stereotype and the strengthening dollar) will fade as time goes by. I think the dollar will have levelled by mid-year, so investors need to be shopping now. Brazil is exciting, romantic, and diverse. I like to think of it as being “one step beyond Latin America,” as its culture and language are just a bit more unfamiliar and appealing to North Americans. With more than 1,500 miles of beautiful beaches between Maceió and São Luis, Northeast Brazil offers the beach-lover more than any other country I’ve seen. Options include big cities like Fortaleza, smaller cities like João Pessoa, colonial cities like Olinda, and island living in places like Itamaracá… where I had a home a few years back. Most of all, during my time in Brazil I learned that all the stereotypes are true with respect to how great the Brazilian people are. And the food we enjoyed easily lived up to the high standards of its reputation. Brazil has two major factors that make it a bargain in 2016: the sorry performance of the currency, and the sorry performance of its economy. When I sold my house in 2010, the exchange rate (luckily for me) was 1.72 Brazilian reals per 1 U.S. dollar… I got lots of dollars for my reals. Today, it’s trading at 3.75 Brazilian reals per 1 U.S. dollar. That’s a staggering 218% increase in the dollar’s buying power since 2010. So for starters, if you’d simply love to own a second home or live in Brazil as a lifestyle option, this is a good time to buy. I think the real will stay below 4 Brazilian reals per 1 U.S. dollar for 2016, so the time to wait for a better rate is over. This is not because I have a crystal ball… but rather because the government has demonstrated its willingness to manipulate the exchange rate to prop it up. When the rate got to 4.14 Brazilian reals per 1 U.S. dollar last September, the government intervened by using currency-swap contracts in order to bring it under control. So I would not hold out for an exchange rate better than 4 reals per 1 U.S. dollar. The Brazilian economy, however, still has room to fall. As of Dec. 5, 2015, The Economist was predicting a -3.1% GDP change for 2015. I believe that 2016 will see a further retraction, but it will be less than we’re seeing in 2015. Meanwhile, the property market is sagging, resulting in some doubly good property buys. I say “doubly good” because you benefit from both the sagging economy and the sagging real. Over the long haul, I’m still a believer in Brazil, and I think it will return to economic prominence when this is over. When it does, I expect a twofold benefit: once when the economy rebounds and lifts prices, and again when the real rebounds to around 2 Brazilian reals per 1 U.S. dollar. I think that neither the real nor the economy will change dramatically during 2016, so any time you buy during the year should result in a good entry point. 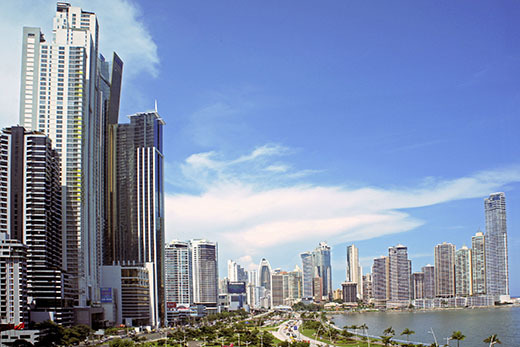 Panama City has been a top overseas property destination for the past 15 years… and things will only get better in 2016. Known as the Hub of the Americas, Panama City is a physical hub for air travelers as well as a world financial and economic hub. It’s just a short trip to the U.S. with good connections throughout North America. The city is modern and cosmopolitan with more than its share of gleaming highrises in the form of office buildings, hotels, and condo towers. Panama City also has a good selection of restaurants from around the world. Whether you want a BBQ burger or Indian cuisine, you’ll find it here. You’ll also find many of the familiar products and stores that you’re used to seeing back home. In Panama City there’s no need to “do without”. Panama City also has a large, long-standing expat community, and there’s a fair amount of English spoken by Panamanians who are accustomed to many years of U.S. presence. Panama has been the economic star of Latin America for years, with enviable unemployment rates, good budget performance, and low debt. The income provided by the canal has been a solid and generous source of revenue for a long time. And in 2016, the long-awaited Canal Expansion Project is scheduled to be completed. The Panama Canal Authority estimates that the expansion will result in an eightfold increase in revenue. I’ve also seen estimates that it will double Panama’s GDP within 10 years. Whether or not these numbers pan out, I am confident that the increased revenue from the canal will inject even more money into an already-solid economy. You might worry about the economic impact of all those canal workers being laid off when the canal is finished. But most believe that the impact will be minimal, if any. One relatively minor reason is that the expanded canal will require more permanent employees to operate it. But more significantly, the government has a number of large public works projects underway that will provide jobs. These include things like the city metro system (line 2) and the restoration work in the city of Colón. Panama is a dollar-based country, so there’s no currency bargain like you’ll find in Brazil or Colombia. But you won’t have to worry about future currency volatility, either. Let me be clear: I don’t think that Panama’s property prices are going to jump up as soon as the canal is finished. But I do think that Panama will be an island of economic stability in an era of devaluations, negative interest rates, and money-printing. I believe Panama City will see a nicely appreciating property market in 2016. 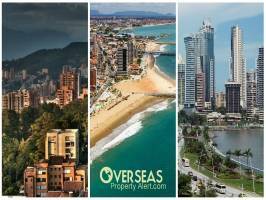 When investing in Panama City, my favorite areas are Balboa Avenue and Punta Pacifica. Mazatlán, Mexico has been in the doldrums since the Great Recession, and it’s been a buyers’ market. But now I see properties moving, prices starting to inch upwards, and buyers returning. Mazatlán is convenient to the U.S., reasonably priced, and is continuing the expanding restoration of its historic center. To make matters even better for the American buyer, the dollar is at a long-time high against the Mexican peso. 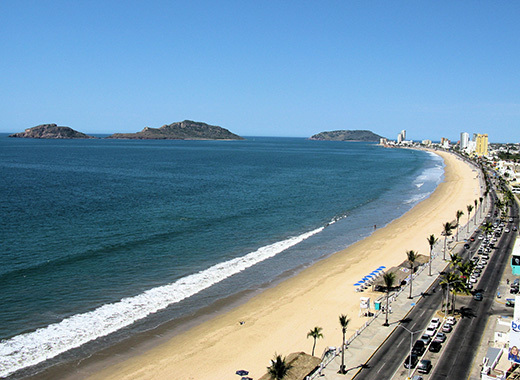 Follow these links to read more about Mazatlán’s historic center and the Mazatlán beach areas. I’ll be in Mazatlán for the next two months, looking into a property purchase here… so you can expect to hear more on this shortly. Santiago, Chile is also on my horizon. It’s a first-rate city in a first-rate country, which would be ideal for a second home during the North American winter. Santiago was pricy until mid-2014, but now it’s trading at a big discount thanks to the dollar’s present strength. I think it’s a good time to get a foot into Santiago’s door. The coming year looks to be a promising and exciting one. And regardless of where your real estate interests take you, I wish you a prosperous year in 2016. I know a country where I can ski in summer, do high altitude alpine trekking, laze on pristine beaches at 35°C temp in winter, shoot exotic wildlife (with a camera of course! ), grow gorgeous wild orchids in my garden, go wild water rafting, and have better health care system than most of the world. Oh yes; the intellectually inclined can study one of the oldest and richest civilizations of this world in terms of philosophy, history, art, and culture. It has everything you extoll about various South American and SE Asian countries and more! And one can live very well for about US$1000–US$1500 per month—with maid and car and medical insurance—while eating only fresh, non GM food. But I wonder, what stops you from covering it? I’ve heard great things about expat life in India, although I’ve never been there myself. I’d be glad to hear from any expats in India who have a recommendation about living or buying property there. Keep it around 1,000 words or so, and I’ll consider it for publication. I have wanted to connect with you. I am living in Canada on government benefits of about CA$1400 per month, and I find that it doesn’t go anywhere. I am close to 70 now, and I’m ready to move on. I’d like to have a couple of options for places to live overseas. Initially, I want to spend six months per year abroad. I want nice weather, and I enjoy the water. Also, it’s important to keep the costs down. Eventually, I want to sell all of my assets and drive to my destination. My first choice would be Mexico, since Frank will be able to drive there. It also has lots of low-cost locations, and plenty of places to enjoy the water. Mexico offers mountains, colonial cities, and beaches. If you’d like to drive a bit farther, Nicaragua is another option that offers an even-lower cost of living… but it’s a long drive with lots of annoying border crossings. Mexico is much easier.